Do you wish it was easier to flake your mainsail? Check out this technique! 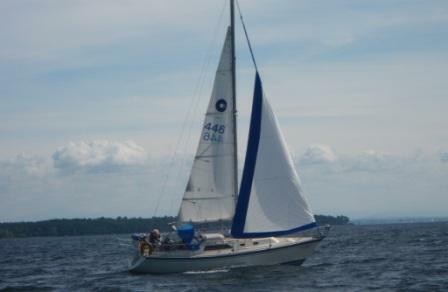 We purchased a new mainsail for our boat two years ago. This is our third season with this new sail and we love it. 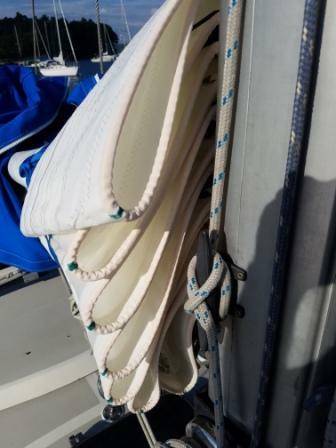 Our sail maker mentioned to me that one of his customers told him about a great way to make flaking the mainsail easier, quicker and repeatable. Flake your mainsail and get it just the way you like it and would want it to be flaked each time you bring the mainsail down. Take a permanent Red and Green marker and put a small mark on the the leech of the sail using the red marker on the flakes folded to the port side and a small green mark on the flakes folded to the starboard side. Do the same marking technique on the mainsail at the mast on the luff of the sail. 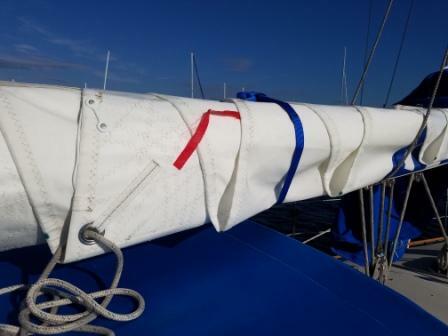 Now that you have these red and green markings, it makes it easier to put those flakes on the proper side of the boat as the mainsail comes down each and every time. 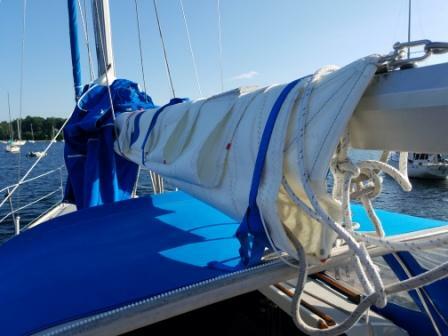 If you have different crew or guests on the boat, it is easy to give them instructions on how to help flake the mainsail as it comes down. 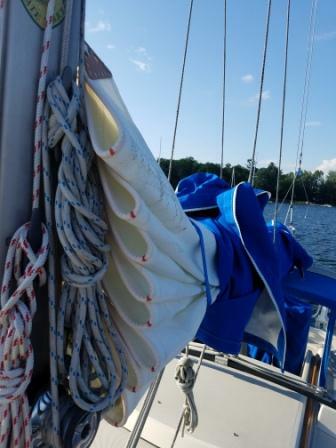 Now each time you bring the mainsail down, it will be easy to put the fold on the correct side and the crew helping you will get the leech and luff folds on the same side every time. Easy and Quick! This is a great time saving technique when putting the boat away after a sail.